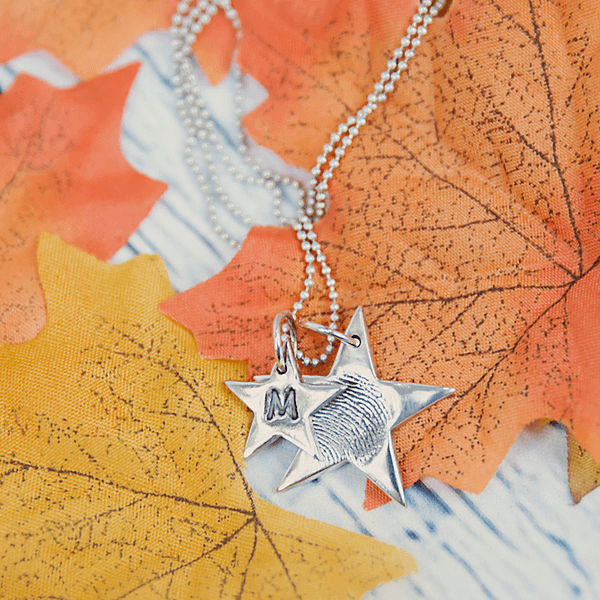 Our Shooting Star Fingerprint Pendant is the perfect shape to proudly display a beautiful fingerprint. Designed to capture all of the unique detail of your loved ones fingerprint, and with an accompanying mini initial charm, this really is an extra special piece. Our Shooting Star Fingerprint Pendant is the perfect shape to proudly display a beautiful fingerprint. 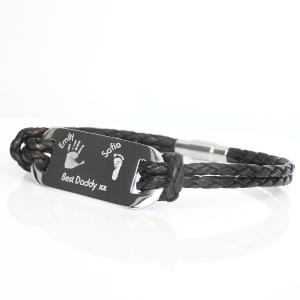 Designed to capture all of the unique detail of your loved ones fingerprint, and with an accompanying mini initial charm, this really is an extra special piece. 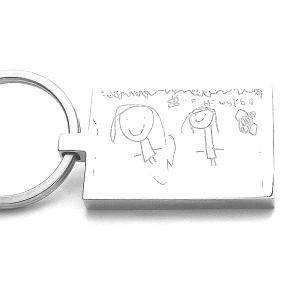 The larger fingerprint charm can also be further personalised with a hand engraved special date on the reverse. The Shooting Star Fingerprint Pendant is entirely hand-made in our studio and comes complete with a chain, from which you can choose the length and style to suit your requirements. All orders also include a special print taking kit, with easy to follow instructions, to help you capture the perfect prints. However, if you already have prints you would like to use, please select the appropriate options from the drop-down boxes below. If sending us your existing prints via post, we recommend sending these via Signed For delivery to ensure they arrive safely. If you do require a print kit, we aim get these sent to you within two working days of receiving your order. Please note, every piece of jewellery is hand-made to order and we aim for this to be dispatched within 28 days, from the date we receive your print kit back at the studio. 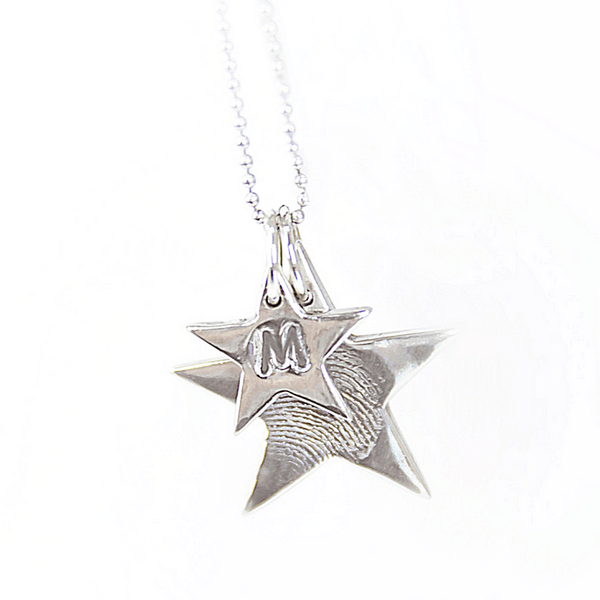 Please note, the star shape of this design may result in small amounts of the print missing from the charm. We always try to design each piece to capture as much print as possible and will always ensure the layout captures as much of the unique, whorls and lines of the fingerprint. This is less likely to be an issue with child fingerprints, which are typically smaller and perfectly fit within the shape. 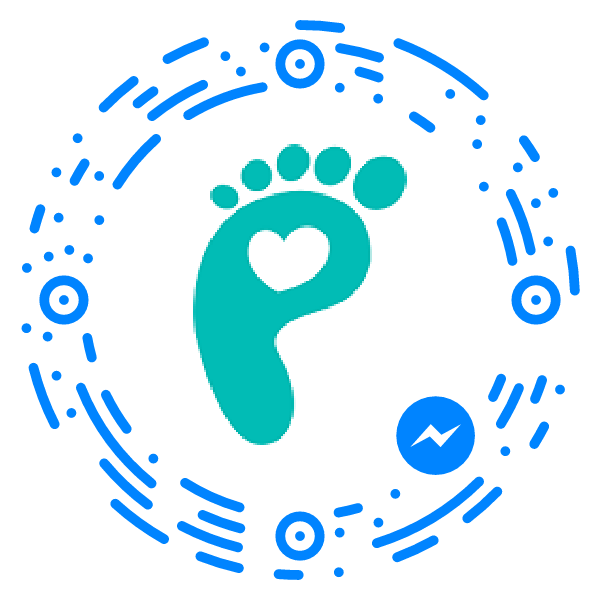 The design pictured is an adult print and the layout of the fingerprint has been captured accordingly. Hand-made products are unique, one-of-a-kind pieces. This means there may be slight variations to the design and layout, adding to the unique hand-made characteristic of your necklace.